Join your OAPSE sisters and brothers in Columbus on February 24 to stand for strong unions, fair pay and pensions we can live on. We will march from the Sheraton Columbus Capitol Square to the Statehouse to send a strong message that all of us deserve the right to join a union and have a real voice at work. We will be marching against the corporate interests who are funding anti-union campaigns and court cases. As you know, the union movement is under attack by corporations and the super-rich who hold so much power in America today. Part of the effort to weaken us is illustrated by Janus v. AFSCME Council 31, the U.S. Supreme Court case which aims to end agency shop and fair share fees in the public sector. The Janus case is nothing more than a political ploy designed to undermine our strength at the negotiating table and cut wages, benefits and pensions. Privatization of our members’ jobs will follow on the heels of those cuts and the door will be opened wide for charter schools. 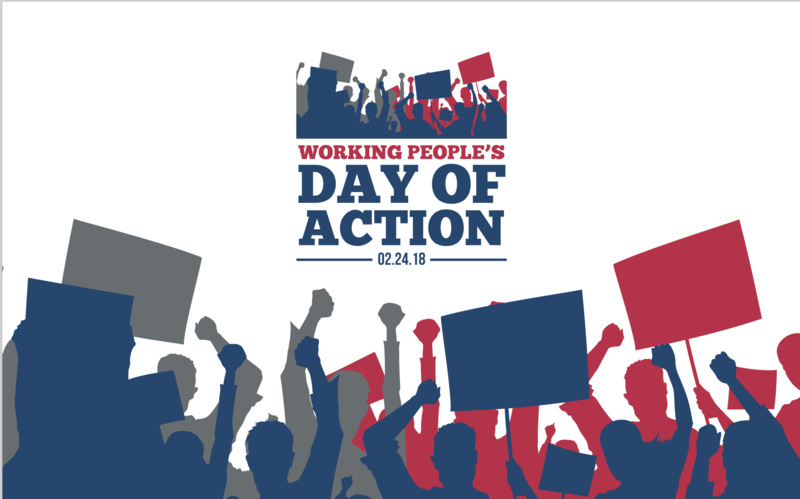 To fight back, our union has declared a National Day of Action for Saturday, February 24, 2018. Please join us on February 24 and plan to attend this gathering of OAPSE members and other trade unionists who understand that a fair economy needs strong unions to even the playing field. OAPSE will provide lunch for all OAPSE members and their guests, and parking and mileage for those members who drive. For more information, contact your regional office or Rob Fantauzzo at 1-800-786-2773. Also, check www.oapse.org for the latest on the rally. See you in Columbus on Saturday, February 24.